The world as we know it is ending. Evolution has reversed itself, affecting every living creature on earth. Science cannot stop the world from running backward, as woman after woman gives birth to infants that appear to be primitive species of humans. Thirty-two-year-old Cedar Hawk Songmaker, adopted daughter of a pair of big-hearted, open-minded Minneapolis liberals, is as disturbed and uncertain as the rest of America around her. But for Cedar, this change is profound and deeply personal. She is four months pregnant. What would you do if all of a sudden both the days and nights got inexplicably longer, birds mysteriously dropped from the sky, and gravity seemed stronger? It would be hard to get your head around, right? Welcome to the world of 11 year old Julia, as she not only has to grapple with the shifts in the marking of time, but the budding onset of puberty and a fascination with the new boy in school. I was initially captured by the author's brief synopsis and went into this expecting a 'Day After Tomorrow' tone; and for the first third it delivered. The narration was crisp and descriptive, with an air of mystery and danger. But as the rotation of the Earth further slowed, so too did any urgency to the plot, which became more focused on Julia's awkward relationship with Seth and her parents. Perhaps the tonal shift from macro to micro is intentional; showing that in moments of crisis the wider world becomes less important and we focus on things more immediate to us. However it is explored in a quite weak and superficial way. 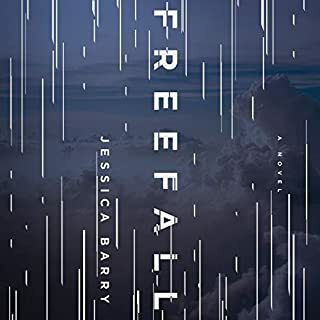 The further the novel went on, the more it became apparent to me that the target audience would most likely be teens much like Julia and Seth themselves. I can't really fault the narration. Laurence Bouvard does a good job at bringing the source material to life, and as far as stories go I've read much worse. However if you are expecting an apocalyptic joyride to the end of the world, forget about it. 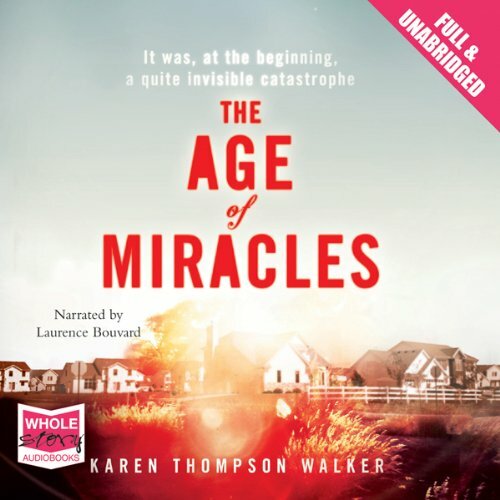 'The Age of Miracles' is merely the background for an average, teenage romance novel. 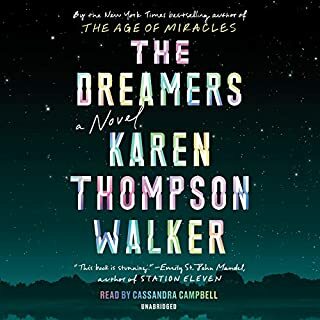 This was my first listen to one of Karen Walker's books and I was quite disappointed .. The narrator, Bouvard, came across badly and her attempts at different vocals were inadequate to say the least. 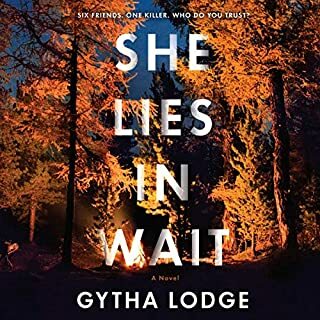 Walker seemed to run out of steam towards the finish of the book and the ending was inconclusive and rather amateurish. I will not be purchasing any more books from this author or narrator. It's a puerile waste of time and i am very glad it was only short. It totally trivialised and squandered what should have been a rollicking good story. Its populated by poor science and shallow characters incapable of understanding or reacting realistically to what was supposed to be happening. The story although about a child is being narrated by a 24 year old so no excuse for such a childish and emotionally retarded perspective to be maintained throughout the entire tedious exercise. 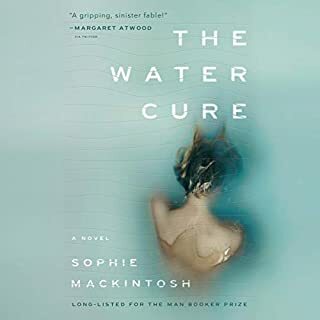 Loved this book, a really unusual and engrossing story mixing the reality of a young girls life with how the human race might tackle a huge world-altering challenge. I would recommend this book to a friend because it was a thought provoking book which captivated me. What was one of the most memorable moments of The Age of Miracles? When Julia and Seth were spying on Sylvia and Julia's dad and they were exposing themselves to the dangerous sun rays. What does Laurence Bouvard bring to the story that you wouldn’t experience if you had only read the book? 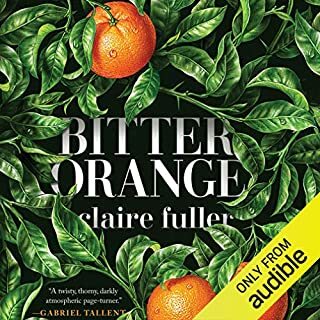 Where does The Age of Miracles rank among all the audiobooks you’ve listened to so far? What a Book! Days that last longer than 50 hours!! 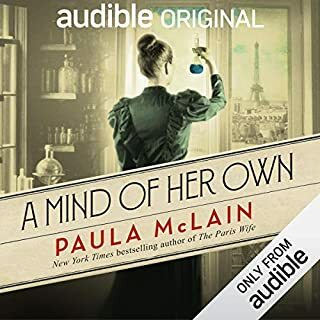 This book was fantastic. It really made me think of all the effects of prolonged days and nights on earth. When would you sleep? When would you work? The book explained that when it started (The Earth Slowing down) to happen a day would increase to 25 hours, then 27 hours. The affect on this .... ! As you will read (how could you not!) some stayed on 24 hours and quickly realised how out of sync they became. A very well thought out book and read very well. It sparks ideas in your head that this could really happen. One of those books you will tell others about. Seen through the eyes of a teenager, the story captures your imagination from start to finish. I liked the idea of the book and hoped it would have some great science to it (as a science geek, I like to see good science in fiction) but the science wasn't great (everything was very vague). It can be forgiven though as it's told from a 11yr olds perspective. The biggest problem I had with the book was that it was open ended and I wonder if there is meant to be a sequel?